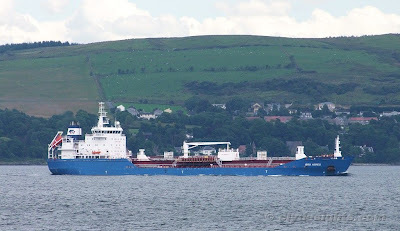 Now a little over two years old, BRO AGNES was seen as she left Loch Long after loading a cargo of fuel at Finnart for shipment to Immingham, on the east coast of England. BRO AGNES belongs to the Brostrom company and is registered at Delfzijl in the Netherlands. She has a deadweight of 16,796 tonnes and an overall length of 144 metres. 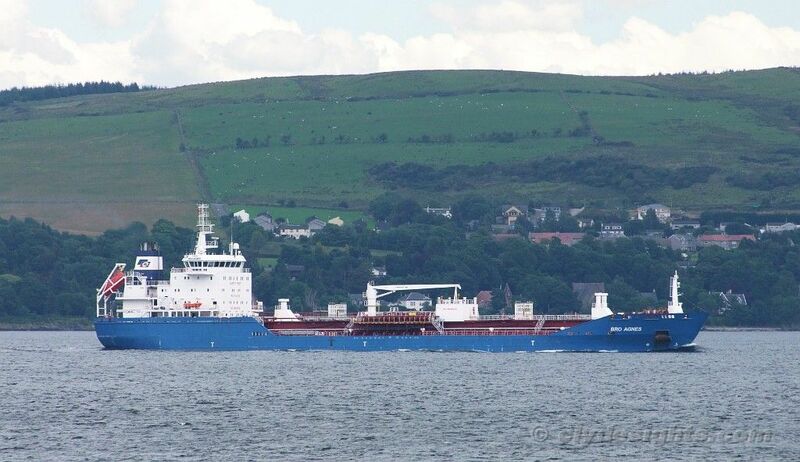 She was built in Turkey and has a sister, BRO ALMA, in the same fleet.